Men's Physique looks very different from Bodybuilding, but the contest prep is in many ways comparable. albeit one with interesting insights into a successful 14-week conditioning plan of which the scientists say that it encouraged the consumption of a variety of foods, did not cut out certain macronutrients completely, did not involve excessive amounts of exercise and left the subject enough time to rest and recover. Do you have to worry about fasting when your're dieting!? Don't be stupid! Sounds intriguing, right? Well, let's take a look at the details, then. The Athlete was a 21-year-old male amateur bodybuilder who was aiming to compete in his first bodybuilding competition, UK Bodybuilding and Fitness Federation (UKBFF), in the Men's Physique category. 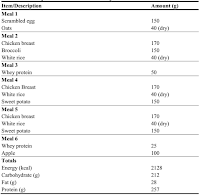 In the 3 months prior to the intervention his diet was identical on a daily basis; comprising of four meals and two snacks that were high in carbohydrate and protein and very low in fat (Table 1). In addition to the meals he already consumed, he incorporated one "cheat meal" approximately every two weeks, which consisted of one large take-away pizza and one serving (~200 g) of ice cream. His conditioning regime consisted of six to seven days per week of resistance training, focusing on individual muscle groups in each session (total nine hours per week). Table 1: That's what the subject ate before the scientists helped him (Robinson. 2012). This changed, when Robinson et al. began to advise the subject. He was given a set-meal plan comprising of two menus. 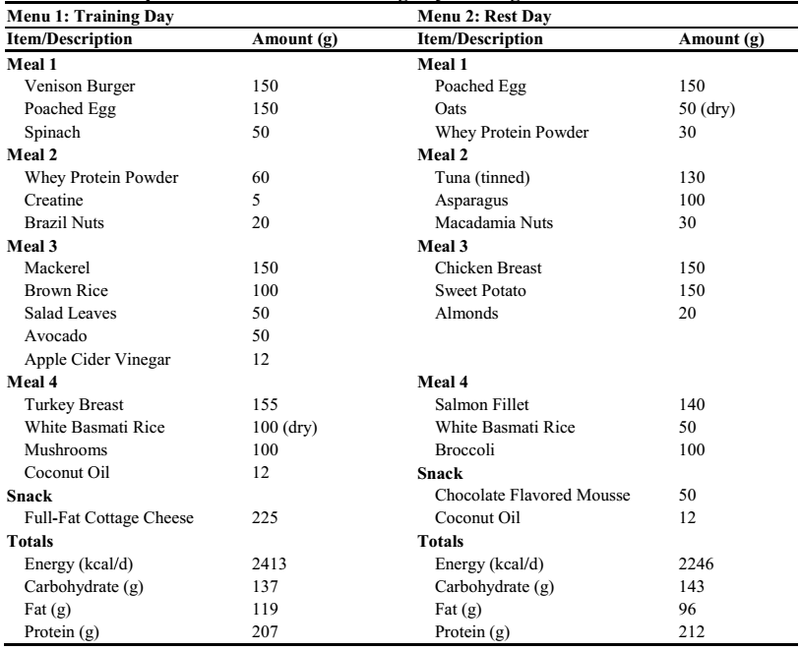 Menus 1 and 2 were followed on Conditioning and Rest days, respectively and were designed by the authors who are all certified sports nutritionists (CISSN | see Figure 1). Don't confuse the pre- and treatment-diet? Just to make sure you don't get confused with the data in Table 1, Table 2 and Figure 1. 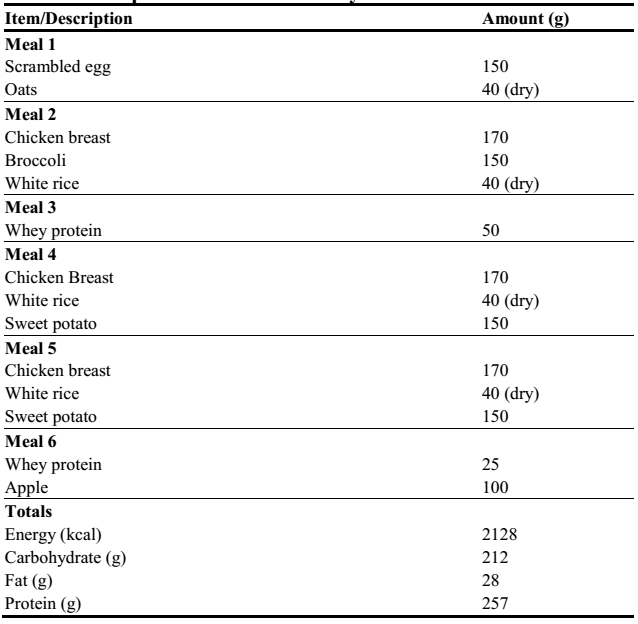 Table 1 goes to show you that the subject was on the typically dumb BB-diet before the scientists took care of his diet and put him on the menus and macros described in Table 2 and Figure 1. Absolute (relative) carbohydrate, fat, and protein intake over the 14 weeks was 100 ± 56 g/d (20 ± 3% energy), 79 ± 17 g/d (37 ± 4% energy) and 212 ± 13 g/d (45 ± 8% energy), respectively. "Carbohydrate recommendations focused on low or medium glycemic index (GI) sources to improve satiety and enhance lipolysis. To enhance muscle glycogen restoration and for purposes of improving meal enjoyment, high GI carbohydrates were also recommended. 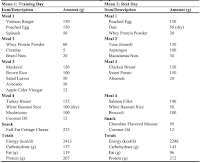 To improve satiety and help retain FFM and augment fat loss whilst in an energy deficit the Athlete was advised to consume high biological value protein such as chicken and eggs and distribute protein intake throughout the day. This „pulsing‟ strategy has been found to stimulate daily muscle protein synthesis more effectively than skewing protein intake toward the evening meal" (Robinson. 2015). If you compare the subjects previous diet to the one he was set on by the researchers the carbohydrate intake is the parameter that underwent the greatest manipulation over the 14-week period to accommodate the target energy intake. 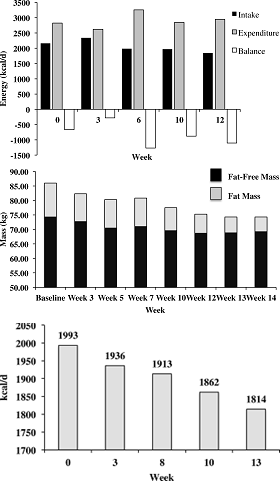 Figure 1: Macronutrient (bars) and total energy (dotted line) intake across the 14-week study (Robinson. 2015). Reducing carbohydrate intake has been suggested as a viable strategy to allow protein intake to remain high in the face of an energy deficit. Fluid suggestions were water, sugar-free cordial and flavored tea that were to be consumed ad libitum throughout the day. Supplement-wise, the subject consumed a whey protein shake (Optimum Nutrition, Glanbia Plc, Ireland) and one serving of a high protein (with a high whey and casein content), a low carbohydrate snack in the late evening (Muscle Mousse, Genetic Supplements, Co. Durham, UK) and, obviously, creatine monohydrate (Optimum Nutrition, Glanbia Plc, Ireland), which was preloaded at 20 g per day for the first five days of the intervention, followed by 5 g per day for 93 days. Speaking of contestants' diets, another study investigated the diets of competitive bodybuilders, recently (Spendlove. 2015). The results were surprising for people who don't know the scene, but to be expected for people like you and me: The diets were characterized by protein excess with the lowest (and still sane) intakes being 1.9g/kg body weight and the craziest intakes being 4.3 g/kg for men (0.8 to 2.8 g/kg for women). 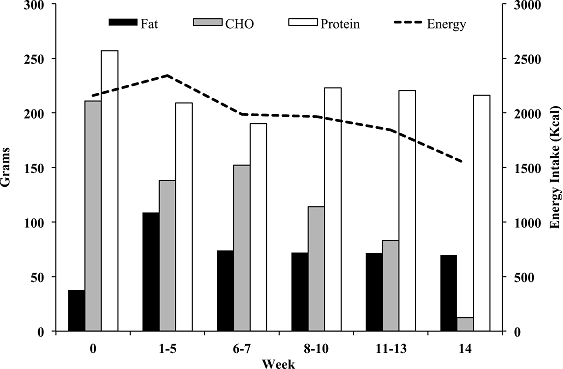 Thus the carbohydrate intake was often below the protein intake (esp. in me) and the micronutrient intakes from supplements were excessive (~1000 % of US Recommended Dietary Allowance) and above the tolerable upper limit. The 14-week conditioning programme is presented in Table 3. As Robinson et al. point out, the athlete completed four resistance-training sessions (RT) during each week of the intervention; targeting each major muscle group on two occasions per week. In that, the morning cardio was not done, because the scientists would believe that it was more effective, but because the athlete didn't like train with a full tummy and wanted "to consume his morning calories after training, as this gave him something to look forward to" - so mainly for psychological reasons. Table 3: Overview of the training program the subject followed over the 14-week study period (Robinson. 2015). Looks pretty solid, right? Yeah, so were the results: Solid, but not mind-boggling. Interestingly, the psychological mood-state (BRUMS scale) was not negatively influenced by the intervention; in view of the fact that "all values relating to the Athlete' mood-state remained below average over the course of study" (Roberts. 2015), it is yet questionable whether that's just a sign that the "scientifically proven" diet and exercise regimen was not significantly worse than what the subject had been doing before. Speaking of questions, as with every case study it is difficult to answer the obvious "what if"-questions. What if, for example, the subject had continued on the same diet and exercise routine he had been following before the researchers got hold of him? Would he really have lost more than 5kg of fat-free mass, which appears to be much to me? What if there had been another subject on the same diet? Would he have seen the same results? 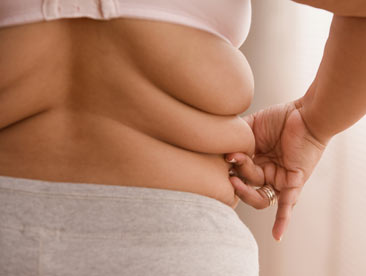 What if the diet had been higher in carbs or higher in fats? Would the results have been better? Don't get me wrong: I don not question the author's conclusion that "shows that a structured and scientifically supported nutrition strategy can be implemented to improve parameters relevant to bodybuilding competition and importantly the health of competitors" and I do not want to support the "conventional practices of bodybuilding preparation" (Robinson. 2015) the authors question, but I would like to remind you that the 5kg lean mass loss is hilariously much compared to what another natural BB in another case study from 2013 achieved (read the corresponding SuppVersity article). A fact that makes me doubt the fact that the "scientifically supported nutrition strategy" presented in the case study at hand is already the "best" you can do | Comment on Facebook! Spendlove, et al. 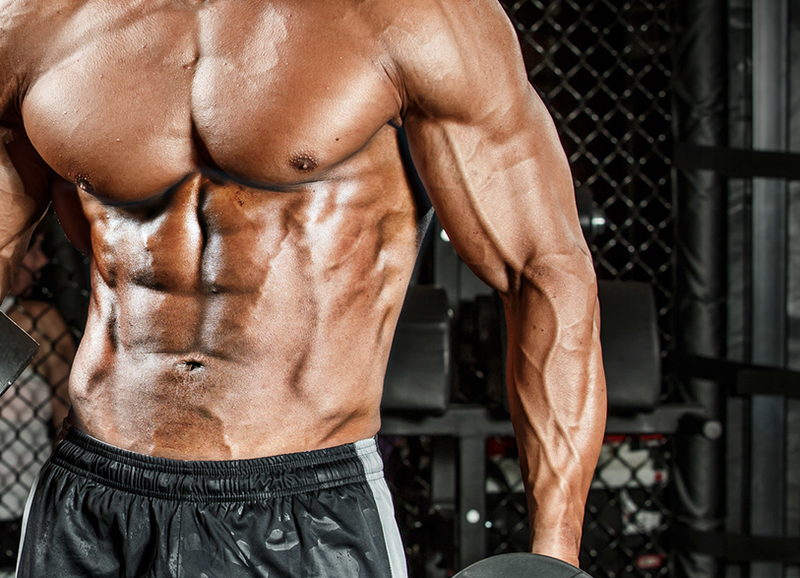 "Dietary Intake of Competitive Bodybuilders." 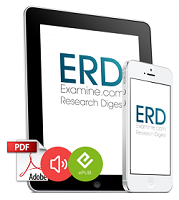 Sports Medicine (2015): Accepted article.